Malaysia consists of 13 states, namely Johor, Kedah, Kelantan, Malacca, Negeri Sembilan, Pahang, Perak, Perlis, Penang, Sabah, Sarawak, Selangor and Terengganu. Apart from the 13 states, there are three Federal Territories, which are administered under the authorities of the Ministry of Federal Territories. 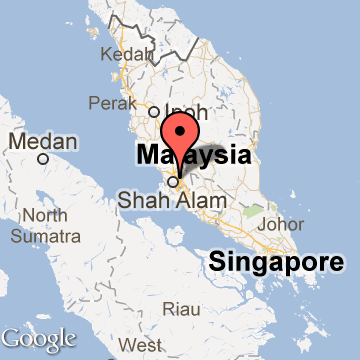 Currently, there are three Federal Territories in Malaysia. They are Kuala Lumpur, Putrajaya and Labuan. The Federal Territories have equivalent status to other states in Malaysia but do not have a head of state or a state assembly. The federal territories were originally part of two states - Selangor and Sabah . Both Kuala Lumpur and Putrajaya were part of Selangor, while Labuan was part of Sabah. Kuala Lumpur, the state capital of Selangor, became the national capital of the Federation of Malaya (and later Malaysia) in 1948. Since independence in 1957, the federal as well as the Selangor state ruling party had been the Alliance (later the Barisan Nasional). However, in the 1969 elections the Alliance, while retaining control of the federal government, lost its majority in Selangor to the opposition. The same election also resulted in a major race riot in Kuala Lumpur. It was realised that if Kuala Lumpur remained part of Selangor, clashes between the federal and the Selangor state government might arise when they are controlled by different parties. The solution was to separate Kuala Lumpur from the state and place it under direct federal rule. On February 1, 1974, Kuala Lumpur became the first federal territory of Malaysia. The Sultan of Selangor, Sultan Salahuddin cried after signing the cession agreement as he was very fond and proud of the city.